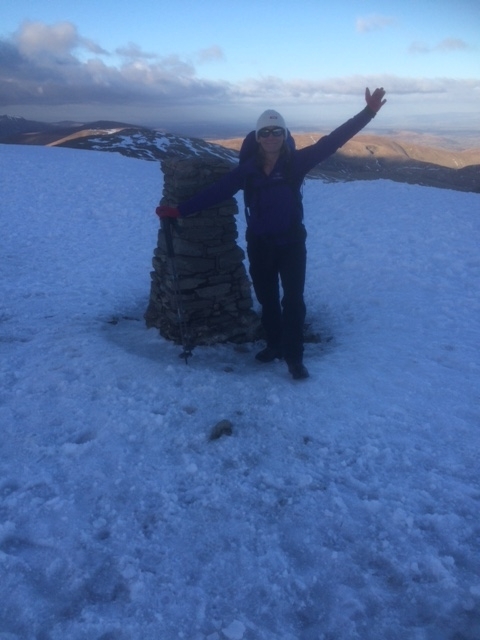 Photographs of a winter course on the 2nd February 2019 on top of the Old Man, Coniston. By 2nd August we had established C3 at 6,300m. So, at 1am on 2nd August we started the climb to the summit. It was a cold, clear night- a welcome bonus after the previous days of volatile weather. 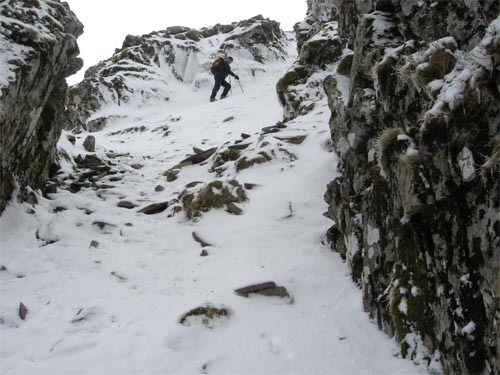 The headwall was steep and covered in a layer of soft snow overlying ice. As we ascended, now on some fixed ropes,the cloud rolled in ominously –adding yet another dimension to our commitment to reach the summit. We crossed an unstable diagonal ridge as dawn became daylight. 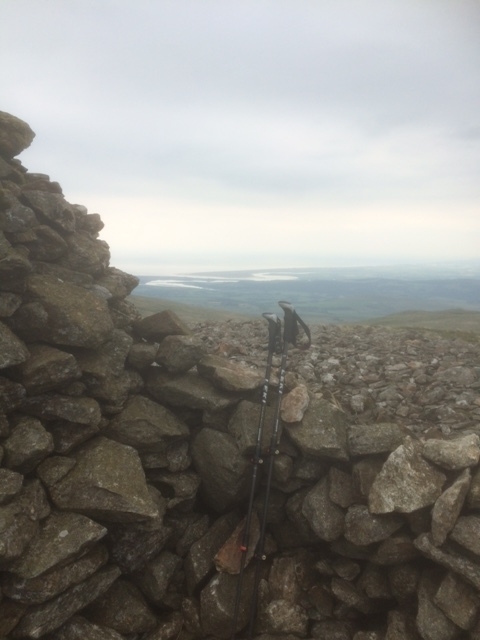 From 6,800m the angle eased a little and conditions underfoot became more reliable. For the first time since leaving C3 eight hours earlier there was a resting place in the now clear weather. The altitude effect was now slowing us and time rolled by, but at 11.30 I finally set foot on the summit of KUN, 7,087m. Now all we had to do was concentrate on a safe descent! Ron is now back in Leh. 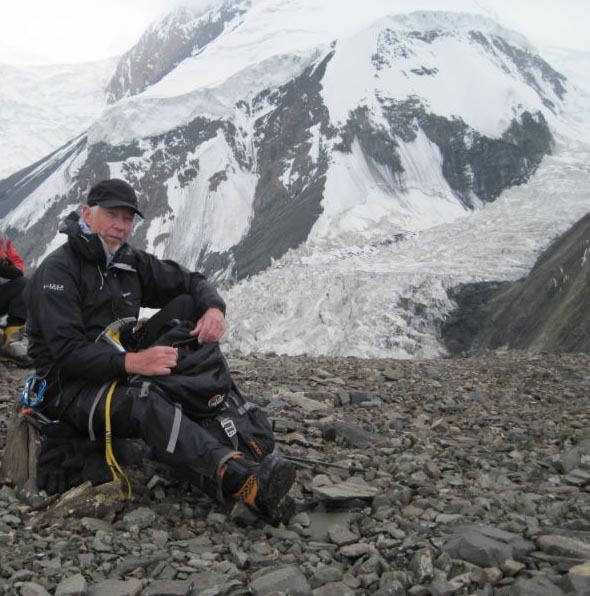 Last night he enjoyed a celebration dinner with the Sherpa team who are mostly from the Makalu region – an 8,000m peak that Ron has been to on several occasions, the first being a winter attempt that Ron led `alpine style` in the early 1980s. Tomorrow he leaves for Delhi and a debrief with the IMF, and then home. What a way to spend your 70th birthday! SUCCESS! 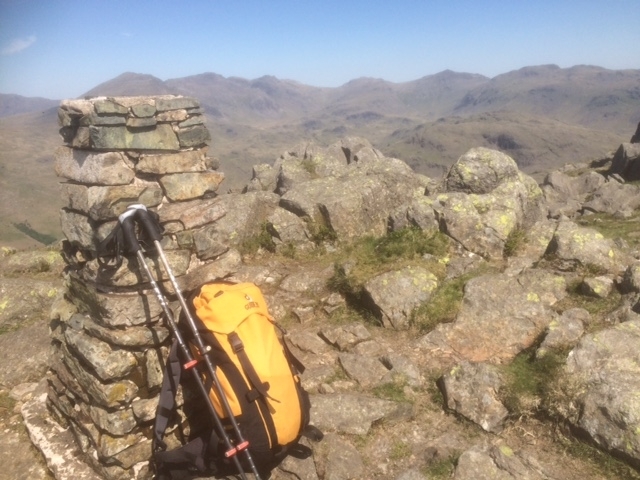 Ron reached the summit of Kun mid-day yesterday. Now back at BC and due home on Friday 10th August. Ron left on 7th July as scheduled – arriving in LEH via DELHI to visit the International Mountaineering Federation in order to finalise climbing permits. He was in contact on the first part of the approach before reaching Kargil on 17th July. Here he encountered difficulties with satellite phones being confiscated- presumably due to the sensitive nature of the area having a strong military presence close to the Indian border. Since then communication has been limited, but we know that he reached C1 (5,200m) on 26th July and C2 (6,121m) yesterday, 27th July. This was always going to be the most technical section of the climb- involving mixed rock, snow and ice up to 50 deg. in places. The weather pattern on the summit pyramid looks settled for the first few days of August so hopefully they will make a summit bid early next week. On Saturday 7th July, Summitreks Operations Director Ron Rutland will fly to Delhi and onwards to Leh (3,510m) the capital of LADAKH. After acclimatisation the team will trek to KUN - Base camp 4,350m.This part of the expedition is anticipated to take 10 days. 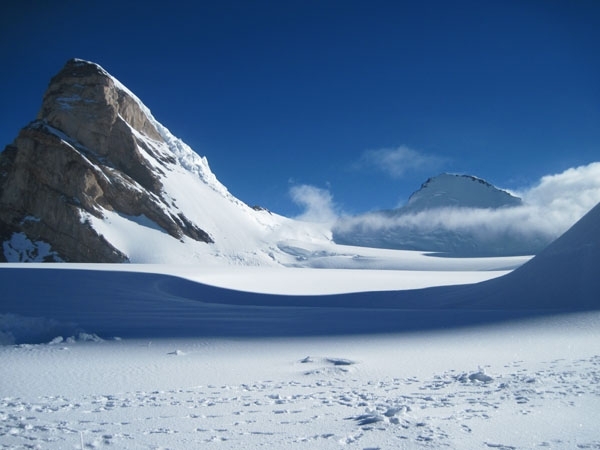 From Base camp we will use 3 camps on the mountain with a summit attempt in early August. 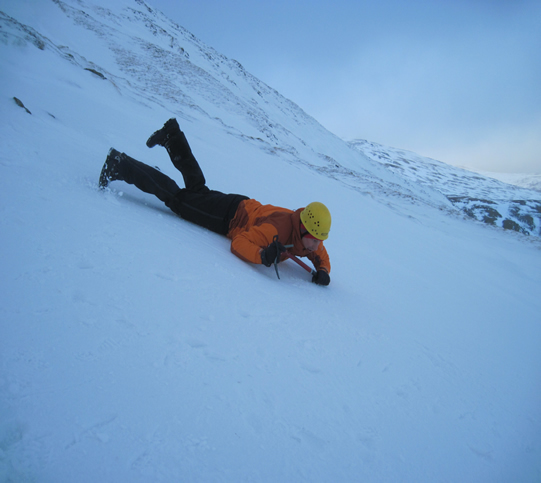 Kun is a snow/ice climb with some challenging sections between the camps. We are due back in the UK on 10th August. Summitreks on summit of Mt. Olympus, Greece. Pity no view! 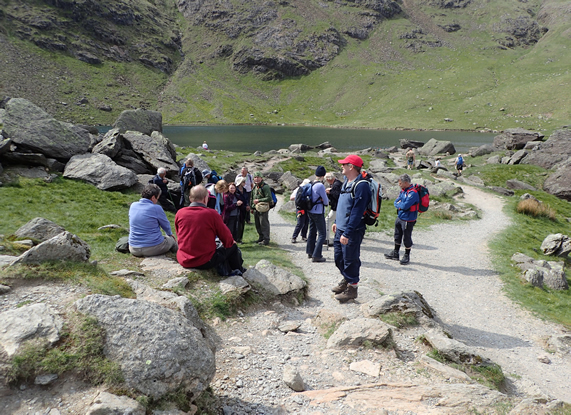 A guided walk up the Old Man of Coniston (Kanchenjunga) as it was known in Arthur Ransome's books. 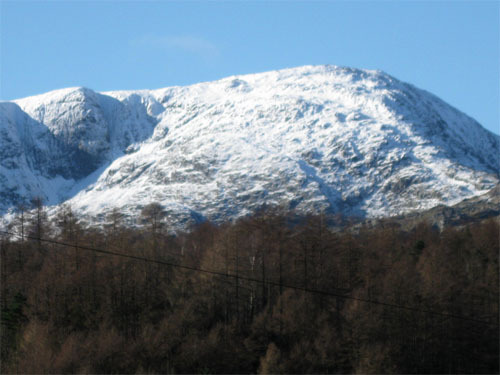 HarterFell. Summitreks on top with Deuter. In early July 2018 Summitreks Director- Guide will be travelling to Ladakh in Northern India to climb KUN 7087. (23,250 feet). KUN is one of the highest peaks in this part of the Himalaya and was first climbed in 1913 but had to wait 58 years before a second attempt was successful. 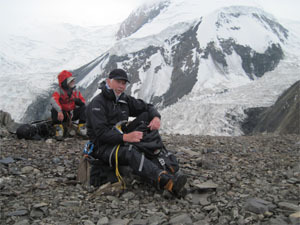 Ron will post details of the ascent as they happen in July –August. 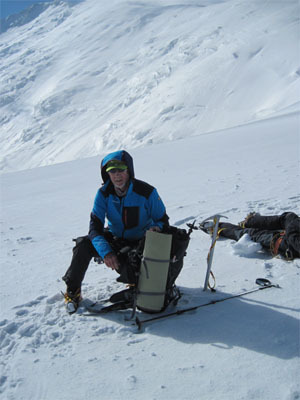 If you are going on any expedition anywhere in the world and you need training – equipment advice please contact me. Ron Rutland Summitreks Guides. 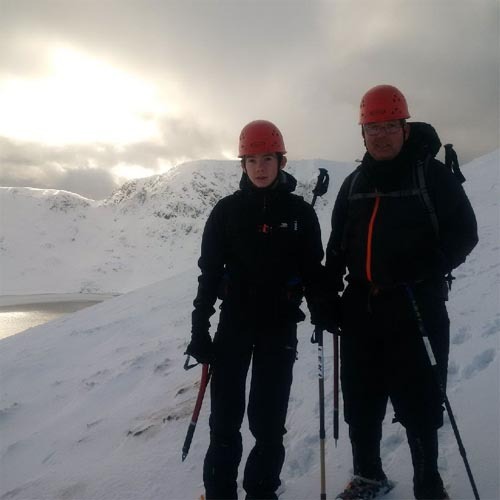 Included is two days (weekend) instruction and the hire of ice axes, crampons and helmets. 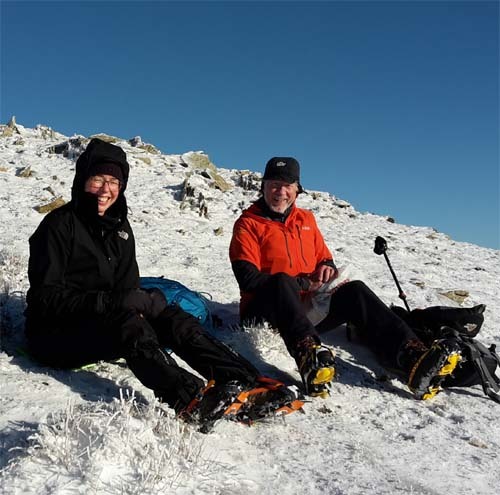 For adults only, if your hill walking experience has been mainly in summer conditions then this course provides the ideal introduction to winter hill walking. It provides you with the key skills you will need. 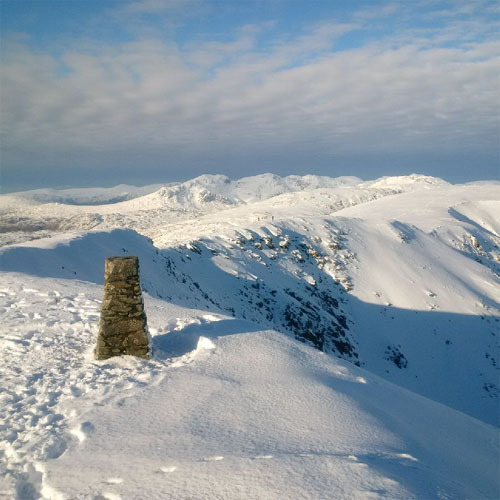 Hill walking in winter is an enjoyable and rewarding activity but it does require special skills to enjoy the hills in safety. 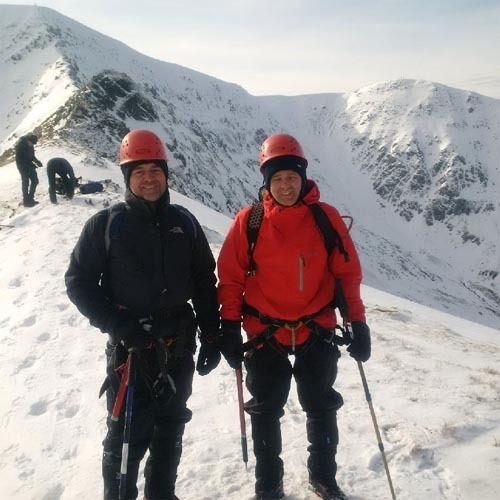 You will learn how to use ice axe and crampons, including self arrest practice on steep ground, navigate in winter conditions and deal with survival situations. 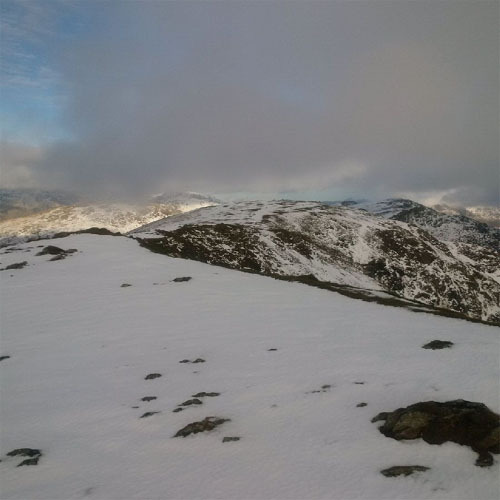 Plus you get expert advice on winter gear.The meeting point will depend on conditions but will be in the Ambleside area to give access to Helvellyn where usually the best snow conditions are. WINTER PRIVATE GUIDED SESSIONS - One Day Course £200 (Up to three people). It is possible to have private guided sessions on a daily/two day basis. 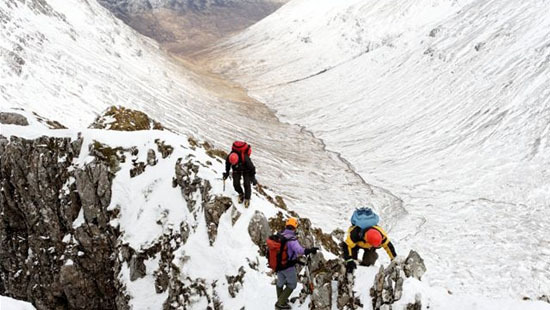 It includes instruction and use of ice axe and crampons. 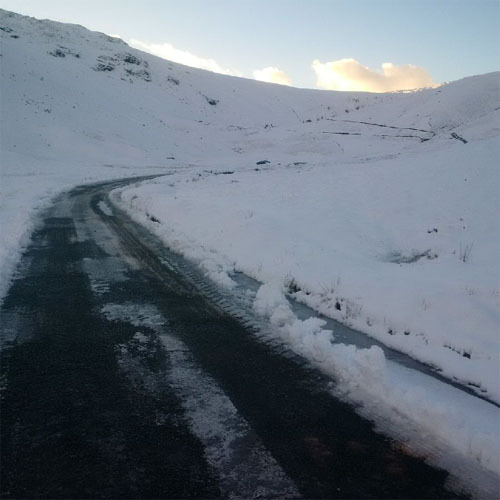 The sessions would be held anywhere in the Lakes depending on where the best snow conditions are. 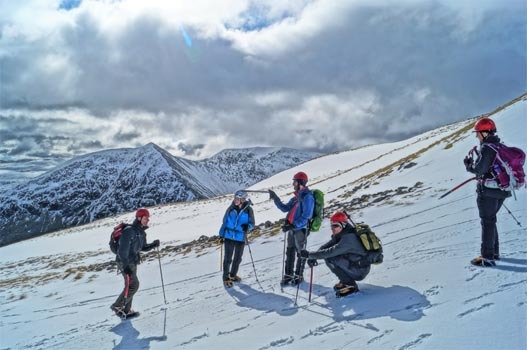 Click Here for more information on Winter Courses, prices and to how to book. 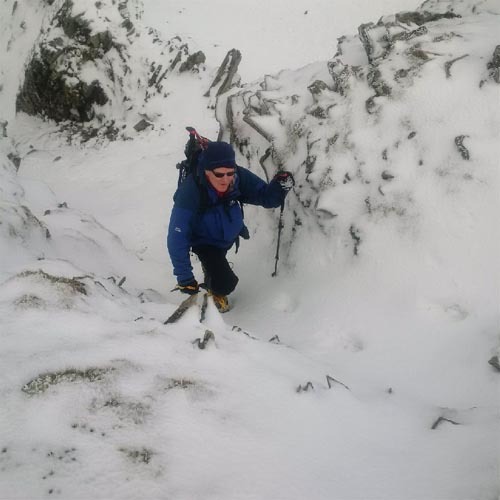 Ron taking a private guided Winter skills session, on Helvellyn, over the New Year period. 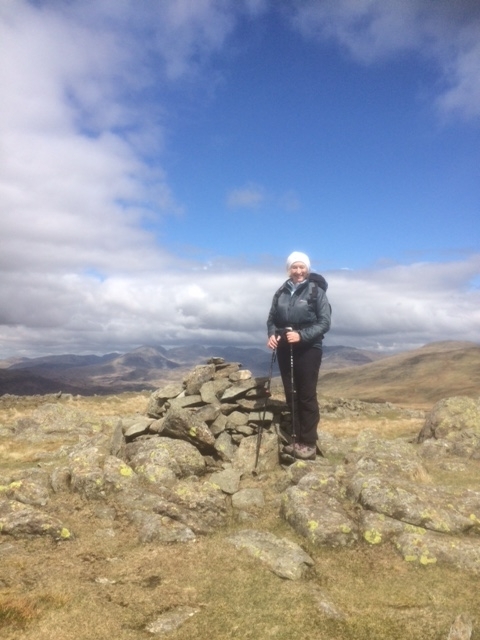 On the top of the Old Man today with snow on the Lakeland fells. 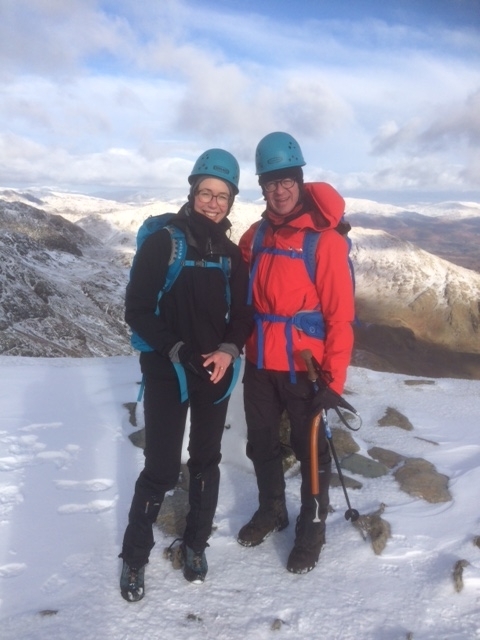 Ron Rutland was out today on the Old Man of Coniston. As you can see the path near the top was icy. Good boots and crampons are advised. We arrived at Peak Lenin base camp on schedule just as the snow fell! From then on the weather was going in the right direction. 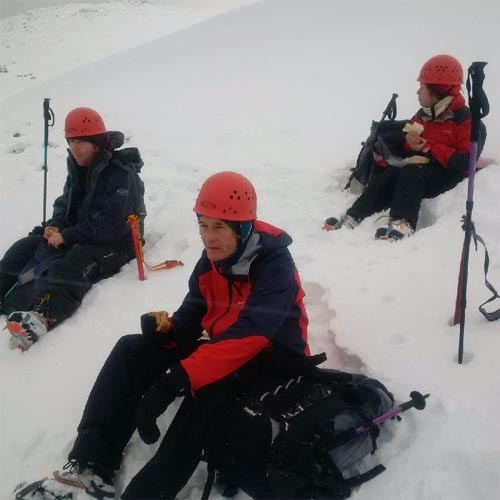 Early acclimatisation treks were undertaken with on early rotation to camps 2 and 3, 4 team members withdrew for personal and acclimatisation issues. In the last few days a small weather window appeared on the horizon and we left base camp with high hopes of a summit climb. A final push to camp 3 at 6,200m left us in a strong position for summit success. Lenin was not to give in easily and during the early hours coinciding with our departure a snowstorm engulfed us. At first light we could see that no summit was possible.The forecast which had been reliable was now not in our favour, leaving no option but descent. A brilliant expedition with a great team had come to an end, all we needed to do was descend! The team arrived at Camp 3 yesterday poised for a summit bid today. Heavy snowfall was due tonight but they hoped to reach the summit with an early start, and return to Camp 2 before the weather turned. 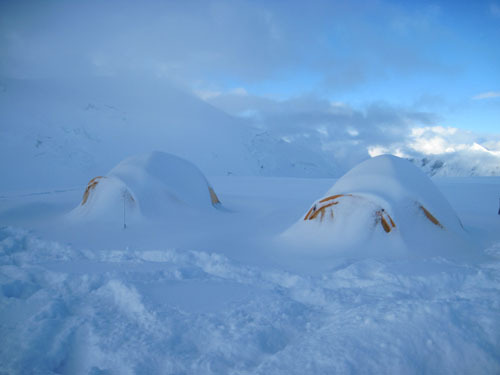 Ron has just phoned from Camp 2 to say that unfortunately the heavy snow came yesterday. It snowed all night with over 30cm of new snow outside the tent when they were intending to leave at 2am this morning - and it was still snowing heavily. Sadly instead they used their energy to dig out the tents and make their way back down to C2. 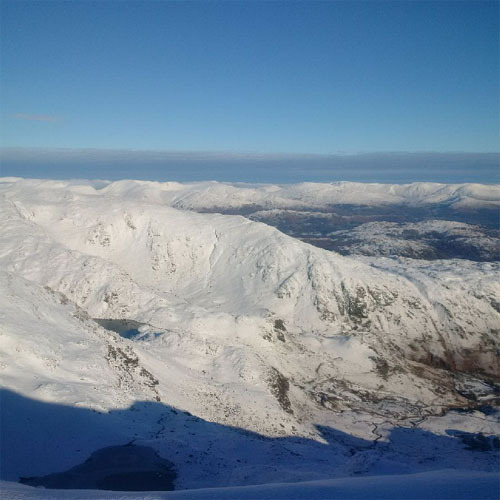 Over 40cm of snow is forecast for tonight so clearly a summit is out of reach - again! Ron arrives back on Sunday. They made C3 last week and returned to C1 to rest and wait for a weather window. Ron was feeling good - he even scaled an unclimbed peak above C3! Tomorrow morning, 4am, they will leave for C2 on a summit push. Hopefully Tuesday will see them at C3, and in the early hours of Wednesday morning they will leave for the summit. 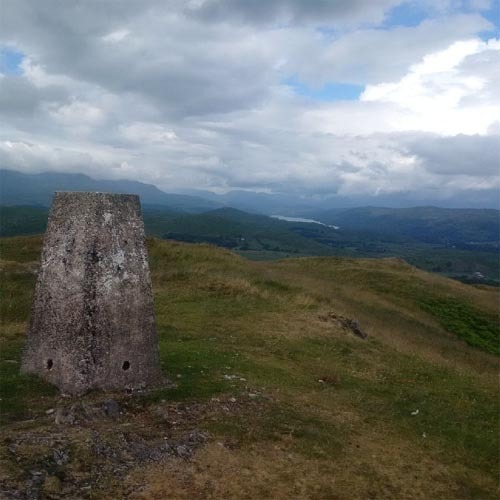 The route starts with a descent of 80 vertical metres from C3 before 400m of ascent up steep rocky scree, it follows a long broad undulating ridge with a 100m very exposed section. After many false summits hopefully they will be rewarded with incredible views of the Pamirs from Peak Lenin's true summit 7,134m. The forecast for the next 3 days seems moderate - extremely cold but only moderate snowfall and generally light winds. Two of the team have been evaccuated by helicopter off the mountain with altitude sickness early this morning. Hopefully they will make a quick recovery at a lower altitude. 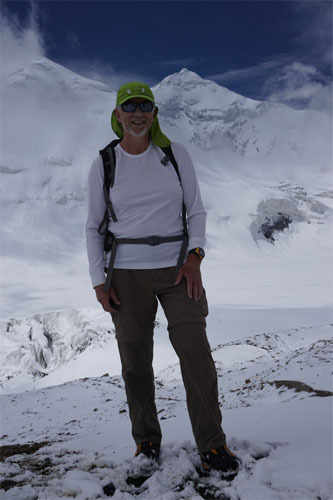 Ron made the journey to Camp 2, 5,400m today - taking 6 hours. The route over the glacier skirts around the main icefall but is still heavily crevassed - although Ron thought less crevasses than last year hence his improved time by 1 hour! He will spend two nights at C2, located on a rock spur on the edge of a huge bowl, planning to return to C1 on Thursday. Tomorrow he hopes to climb to Camp 3, 6,100m - making the best of the weather window. 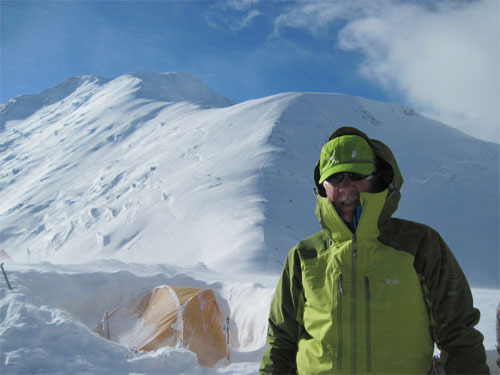 Yesterday they reached 5,000m in better weather but today Ron has been in touch to say that he is back in camp 1 in a snowstorm - with little hope of progress for the next day. The weather pattern is looking more stable mid-week, apart from high winds - so hopefully more progress will be made. Ron arrived in Osh at 1,000m last Sunday, travelling via Istanbul. They made the 5 hour drive to Base Camp, 3,600m, on Monday. The weather seems fairly mixed, although they did manage some acclimatisation walks during the few days spent there. 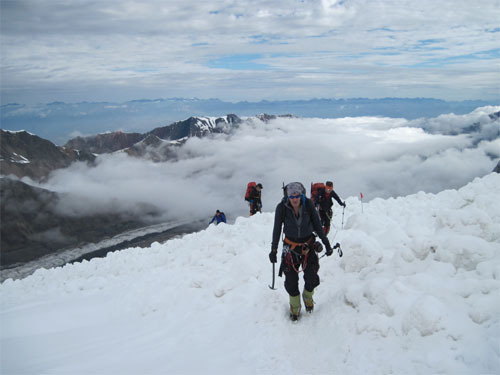 On Thursday they walked to Camp 1, 4,400m, arriving just ahead of violent thunderstorms. Clearly the weather seems no better than on Ron's last trip. On Friday morning they woke to a white world with 10cm of snow having fallen overnight. 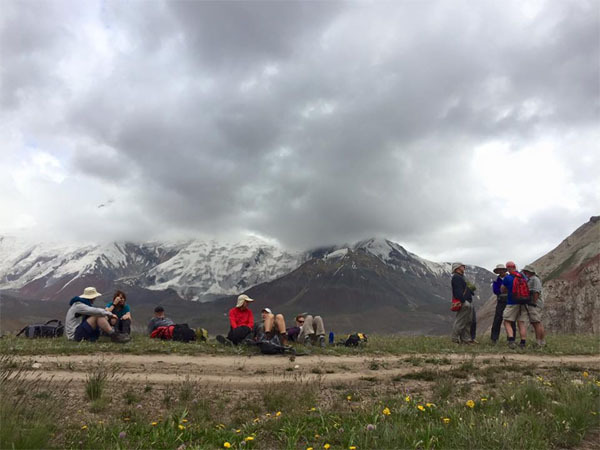 They did manage an acclimatisation walk up to 4,700m during a break in the weather. 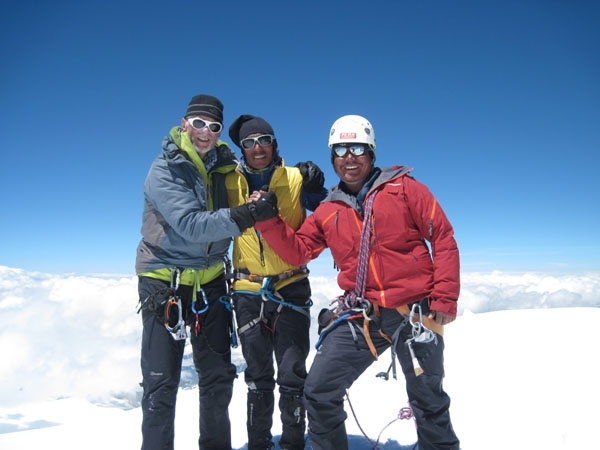 Ron is climbing with Bunter who was with him on their previous successful ascent of Manaslu, 8,156m, and Kyajo Ri 6,186m in Nepal, aswell as their joint trip to Gasherbrum in the Karakoram. 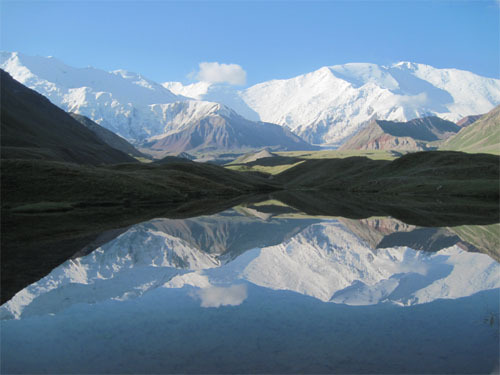 On 23rd July Ron Rutland, Summitreks Director will leave to join an expedition to climb Peak Lenin 7,134m situated in the PAMIR Mountains of KYRGYZSTAN. Three camps will be placed above a Low Base camp. 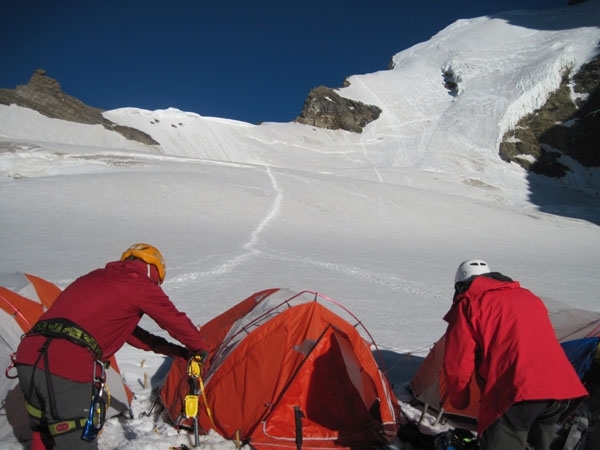 The climb involves snow and ice including a lower ice-fall leading to a long final day from a top camp at 6,100m. 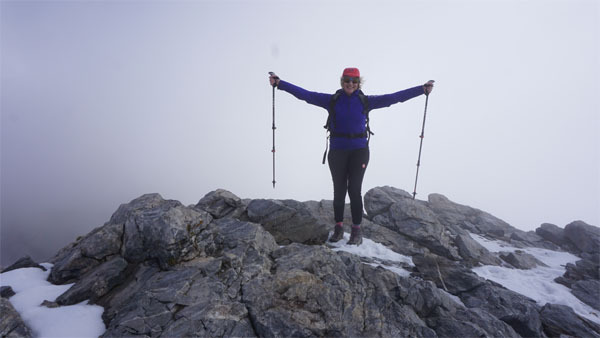 The challenge is the final summit ridge which is long and arduous and exposed to poor weather. 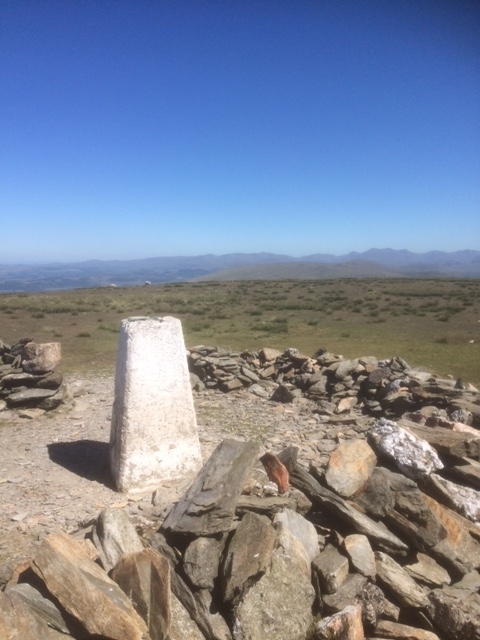 If all goes well the summit should be reached around the 10th August. Ron will update during the trip. 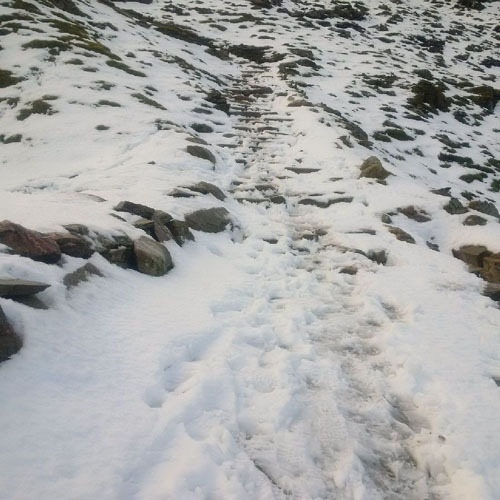 Ice on the path up the Old Man of Coniston, Crampons or Hillsound trail crampons a must! John on the Old Man of Coniston. 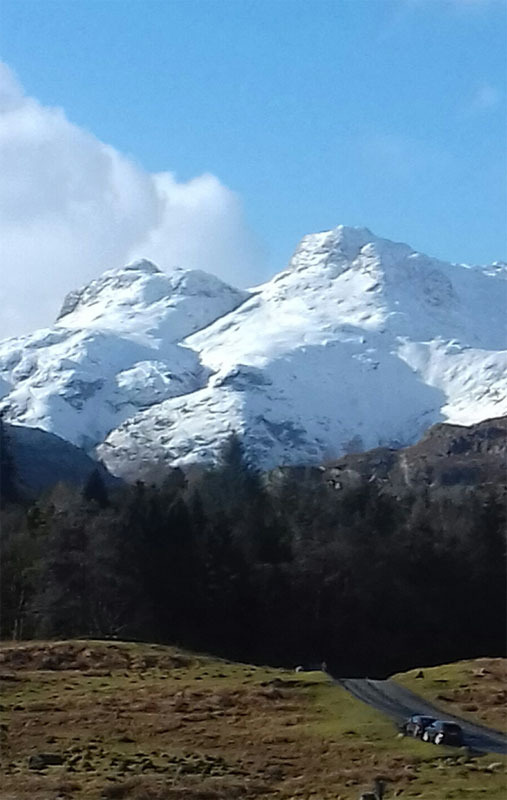 A beautiful day in the lakes looking towards Langdale. Ron Rutland Summitreks Director has been involved over the past week in the filming of the BBC drama series 'The A Word'. His role has been as Heath and Safety Adviser for the actors and crew during the mountain scenes. 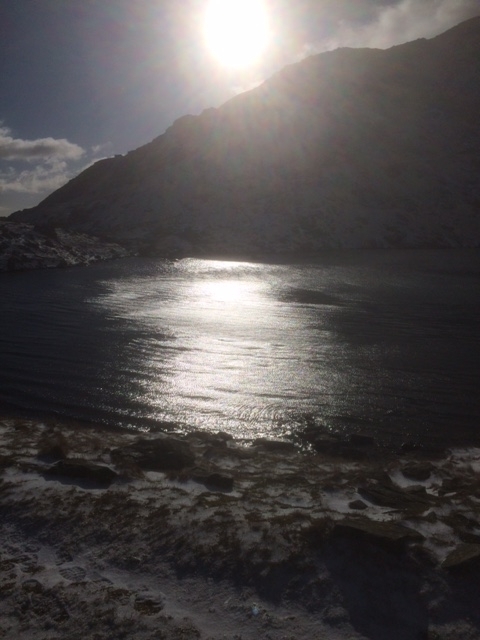 This photograph was taken on Honister Pass while on the way to the filming location. 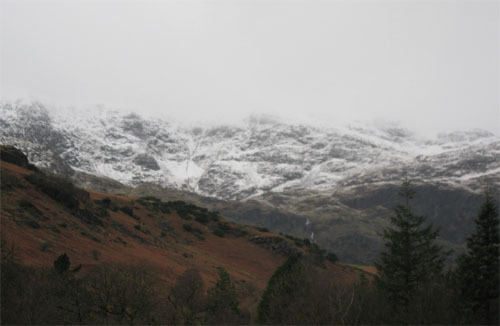 This photograph from Borrowdale below was taken while out filming at another location. Well we had the floods here in Cumbria last week now it's the turn of the snow to visit us, a much more welcome sight it has snowed here all day. 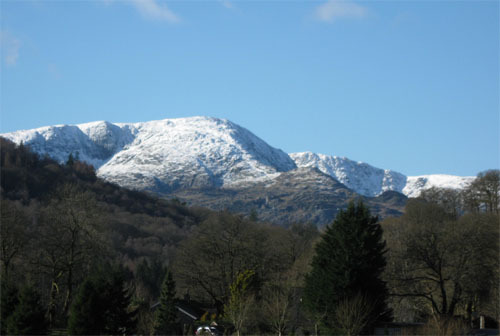 The photograph is of the Old Man of Coniston today. 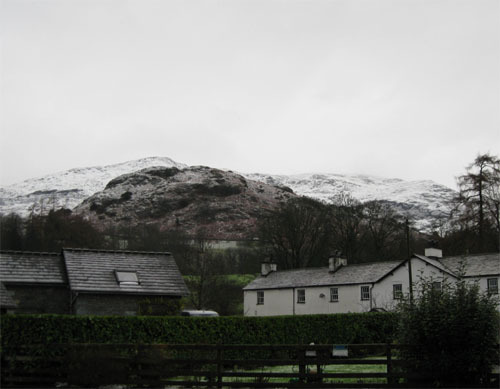 Now back in Coniston, a short postscript from Ron with some photos showing the beauty of Peak Lenin. On 4th August at 4.15am we left Camp 3 at 6,150m for a summit push. The weather was not as predicted- but with low cloud, 30 knot winds and a wind chill temp. of around -25c. 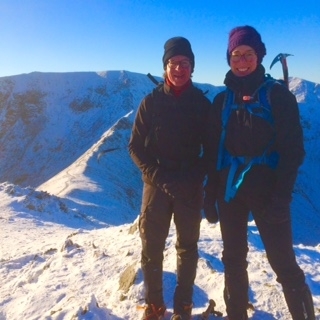 The summit ridge proved long and arduous with soft snow to impede our progress. 8 hours later we were still 2hrs from the summit and decided to turn back. Visibility was poor and route-finding severely testing! 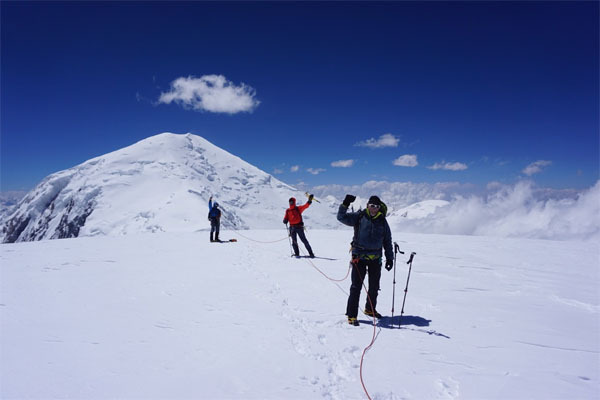 The last members reached Camp 3 at 7pm -a 15 hour day on the summit ridge of Peak Lenin! Everyone was in good spirits and felt that we had given it our best effort. All that remained was to descend to BC the following day and plan for our next challenge! It seems that the unsettled weather continues- No word from Ron as yet but an update has come through indicating that the team reached 6,900m. 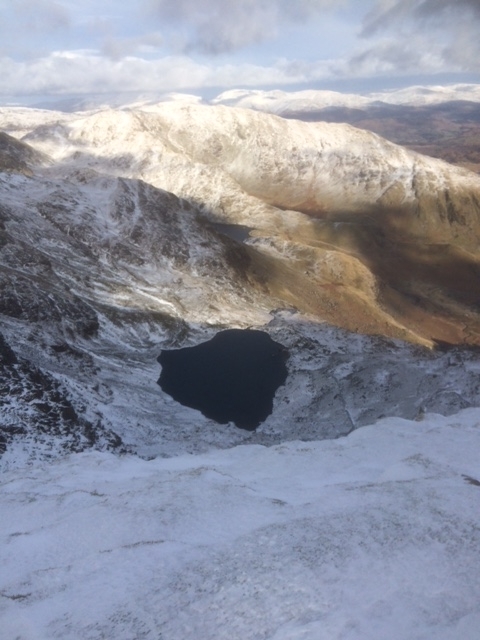 yesterday but in the face of deteriorating weather had to return to C3 at 6,100m. They are all well in ABC today and plan to return to BC tomorrow. 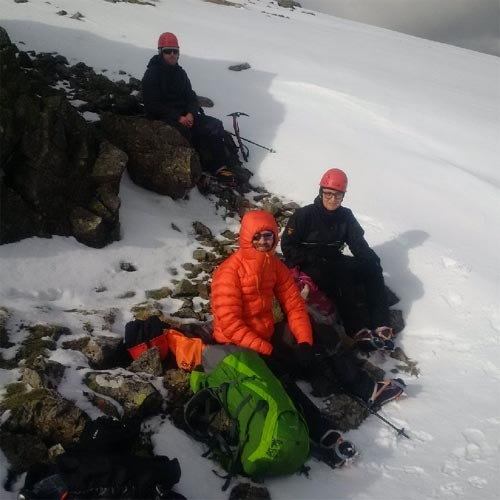 A superb effort given the poor weather they`ve experienced throughout the expedition. So very close! After other teams have been thwarted with high winds near the summit, Ron's group will wait until Sunday to start their summit push. 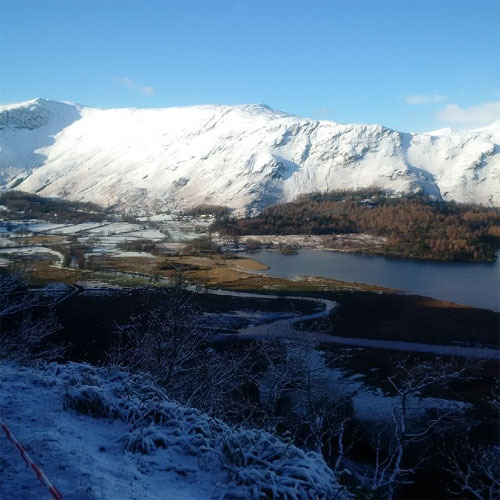 With snow every day so far and the associated avalanche risk, they are optimistic that the weather pattern will change towards the end of the weekend. Rested after a couple of nights back at ABC(4,400) they will set off through the camps - passing the familiar C2 at 5,400m and probably overnighting at C3, 6,100m. 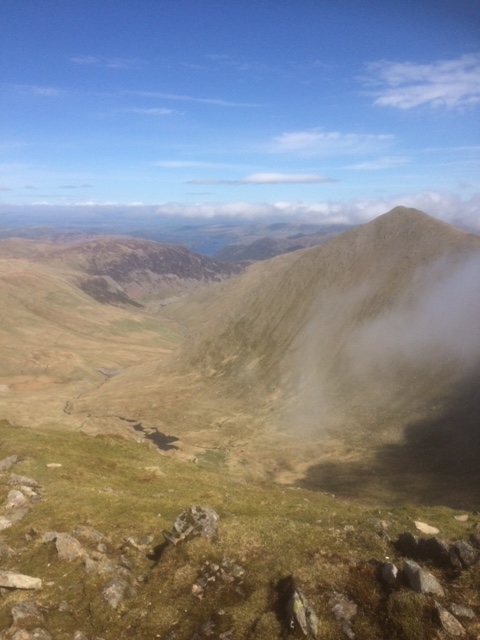 From here, after a descent of 80 vertical metres, there is a 400m ascent of steep rocky scree. This is the toughest section of the route and sometimes a 4th camp is used. Due to potential high winds they plan to carry on through the next 100m. section of exposed terrain making for a long summit day. The top is reached after a long undulating ridge weaving between rock bands and over many false summits. 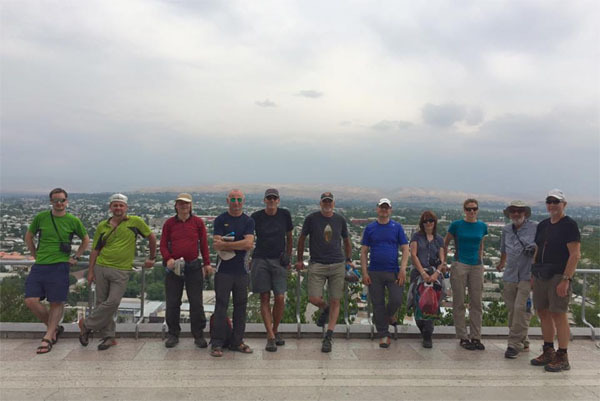 Hopefully they will be rewarded with amazing views over the snow-capped peaks of Kyrgystan towards the Pamirs before returning to Camp2. A truly long day! Yesterday the team left for Camp 2, at 5,400m located on a rock spur on the edge of a huge bowl. 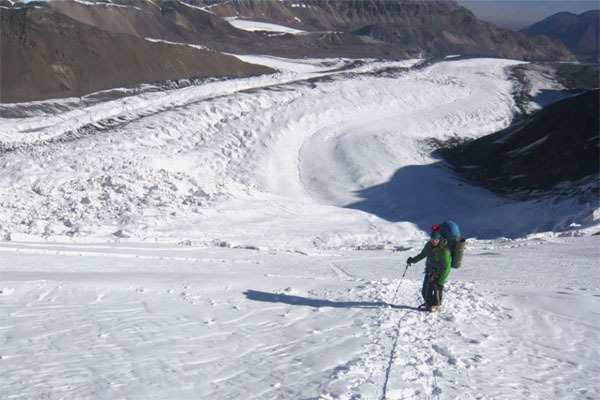 The route is heavily crevassed crossing a glacier skirting the main icefall and should take about 6 hours. They plan to spend 2 nights at Camp 2 making use of the time acclimatising further and checking the route to camp 3 at 6,100m. Ron has been in contact to say tomorrow they will move up to Camp 1 - a 4 hour walk away sited on the the edge of the moraine at 4,400m. Today they climbed up to 4,400m on Peak Petrosky in good weather, so should be well prepared for the altitude of C1. From here time will be spent acclimatising and exploring the route to Camp 2 at 5,400m. Ron left Heathrow on Saturday 18th July for Osh, a small Russian town at 1,000m, to the north of the Kashmir and Tibetan borders. Via Istanbul, they arrived on Sunday to be greeted by hot and humid temperatures of 29c. The Peak Lenin team now all together Osh, Kyrgyzstan. 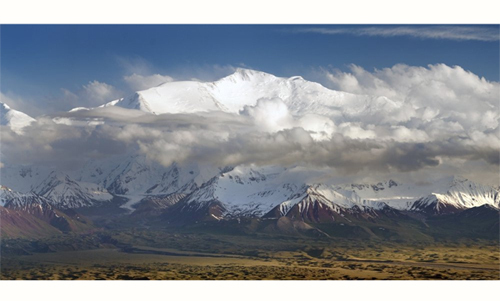 He is with a group aiming to climb Peak Lenin at an altitude of 7,134m in the Kyrgystan region of Russia. They made the 5 hour jeep drive to low base camp, 3,600m, yesterday - a picturesque meadow in a lakeside setting. Rain accompanied them on their first acclimatisation walk to 3,800m - but today they were rewarded with clear skies and views of the route ahead when they climbed to 4,200m. 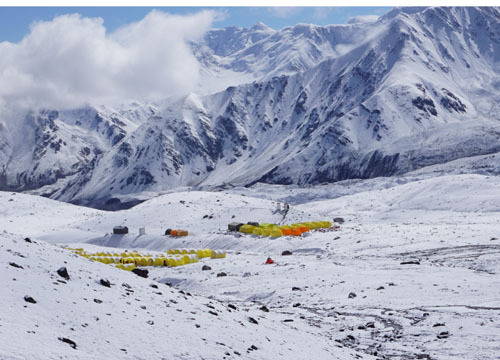 After a short acclimatisation period at low b.c, they will move up to the next camp at 4,400m in the next few days. 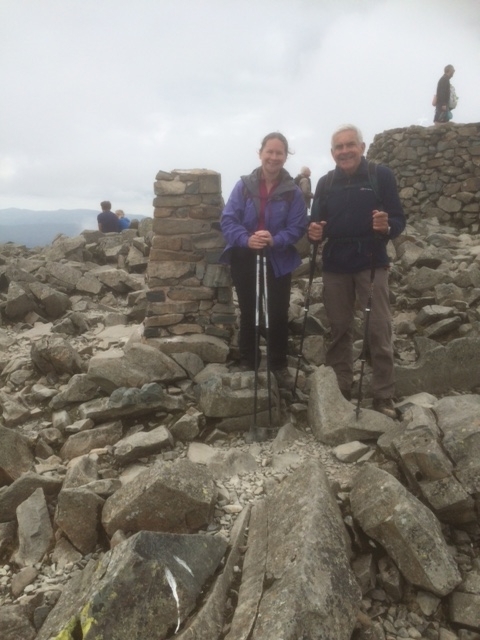 Sherpa Aid UK- Ron Rutland is a trustee for this charity. Please use this link to donate to Sherpa Aid UK through Jagged Globe.Your donation will help the families of Sherpas who have been affected by the Earthquake and help with the medical fees for those that were injured. 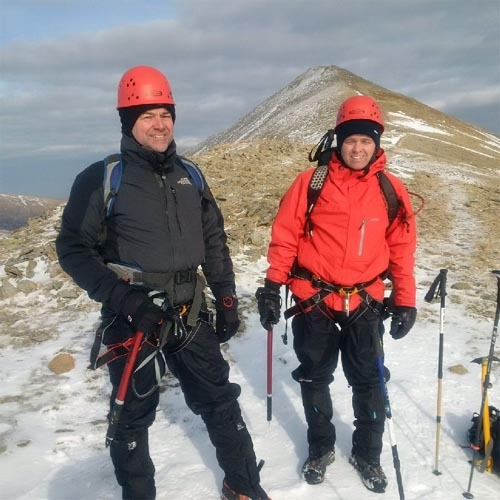 On 18th July Ron Rutland Summitreks director will take part in an expedition to visit Kyrgyzstan in Russia to climb Pic Lenin 7,134m / 23,405 ft. The team will fly to Istanbul and then onward flight to Osh. 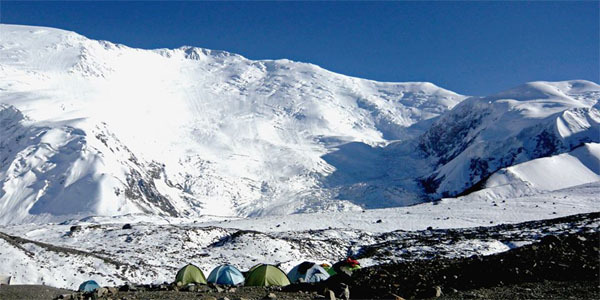 Base camp is situated at 4,400m. 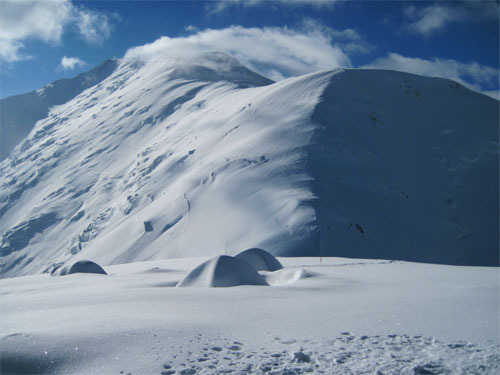 3 camps are likely to be used to access a summit climb of Pic Lenin. Visit Summitreks outdoor clothing and equipment retail shops.